Below are a few examples of our different industries and with varying sizes. the smart way to get around the city. When Green Mobility introduced their new concept of renting a car by the minute, they at the same time needed to give topsupport to their customers and secure, that all employees could help customers immediately. Therefore SkyViewCRM was designed focusing on exactly the processes and specifications developed by SkyViewCRM and Green Mobility. Nordic Fire Protection is the new alternative for fire-fighting equipment and first aid equipment. They offer everything from advice to risk assessment, service checks and equipment. Below are a few words from Nordic Fire Protection about how they have benefitted from SkyViewCRM. When we started our company, it was important for us to ensure that we always put our customer’s needs first. It was also important to continuously gain new customers who can benefit from our products, such as fire equipment and a first aid kit, which includes a defibrillator. From the beginning, we decided that we all need to work in one CRM system. We have tried several CRM systems, but we chose SkyViewCRM. It’s fast, easy to use and smart, and we can use it on PCs, iPads and iPhones. It allows us to segment and helps us remember to follow up on customers and potential customers. We’re all connected, so that we all the emails we send and receive are automatically entered into the system – and we can see everything at a glance. We have decided to put all our offers into SkyViewCRM and we have created templates, so each person doesn’t have to keep reinventing new ways of communication, even though our customers have very different needs. What’s more, 9t provides the most uniform results. We have given ideas to SkyViewCRM, which have already been developed and implemented in the system, and when we started using SkyViewCRM, we received assistance importing the first prospects and customers. ISS Sewage & Industrial Service A/S are experts in sewer service for homes and businesses. They have 10 local stations across Denmark and are always ready to serve with acute and preventive service. 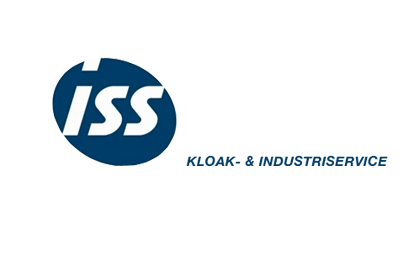 ISS is a certified provider of sewerage services, mud pumping, TV inspection and industrial services across Denmark.